I am or was in the process of selling my apartment or, to be more precise, my one-ninth of a small apartment building. The first person who visited made an offer I considered acceptable. However, the co-owners of this building will not allow anyone to take a mortgage to pay for his or her ninth of the building. It has to be paid in full. My portion was bought by proxy. What a mistake! At any rate, I have not been able to write since learning that I am unlikely to find a buyer for my property. 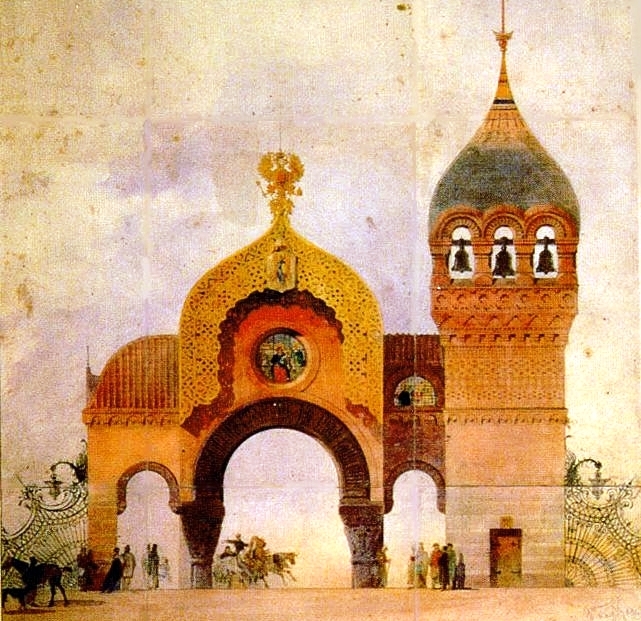 However, we have more bells in Russian music. 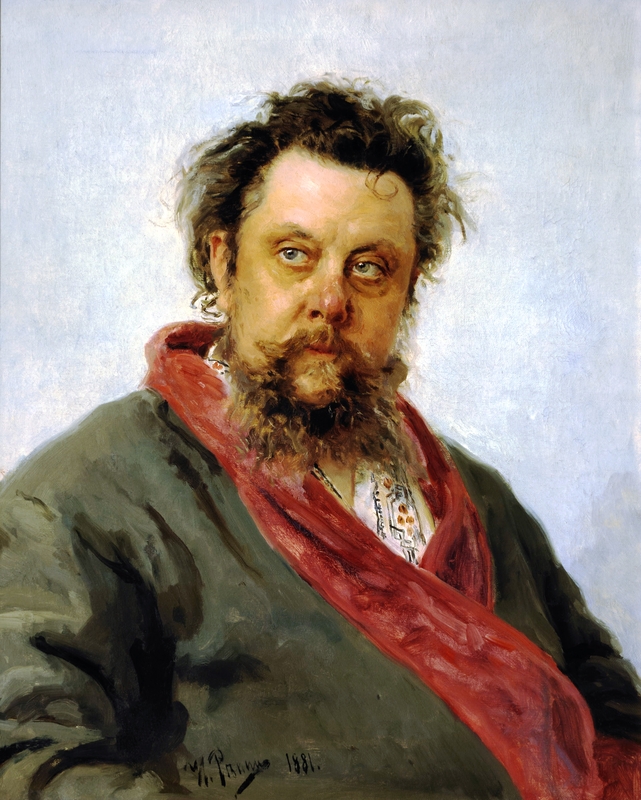 Modest Mussorgsky was one the “Five” composers, the “mighty handful,” who wanted to give an identity to the music of Russia. I have used Hartmann’s design in an earlier post, but in a different context and in relatively finer days for the Ukraine.